A soft start circuit to switch on big transformers on the mains grid. 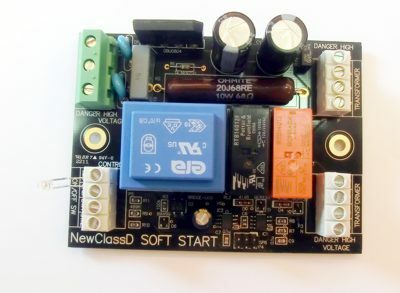 NewClassD Soft Start circuit prevents high inrush currents from big mains transformers, that will normally blow fuses, overload switches and stress the rectifiers and capacitors. 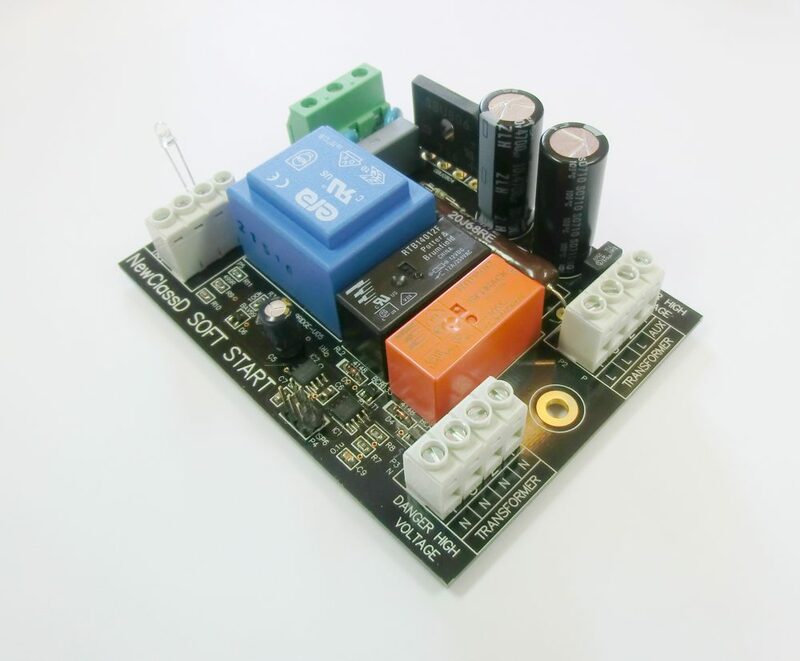 With this soft start circuit, the mains is connected slowly and smoothly to the power supply preventing any problems. The DC Filter conditions the mains power, and removes the DC component. This will stop your transformer from humming.  (Mechanical Hum). This 2011 model includes also an offline power controller, which can also function as mains switch. You can connect a pushbutton and an LED to a set of terminals, and use them to switch the amplifier on and off. These are offline, with isolation class 1 (2kV isolation) so the GND terminal must be connected to earth, see the Earthing Instruction. The middle terminal of the mains should be left unused. Do i need a soft start module? If your transformer is 400 VA or less, then you probably don't need a soft start circuit. At 500 VA you should start thinking about it, and by 800 VA it's pretty much a necessity. If you connect an 800 VA transformer directly to the mains, chances are your mains fuse will blow due to inrush current. If you have two 400 VA running on the same mains line, the same goes. If you have a 500 VA transformer, and a huge capacitor bank, say 100.000uF total, you need a soft start. If you only have say 44.000 uF behind a 500 VA transformer, you might just get by without a soft start. So that's pretty much the way you can tell. Can i connect two transformers to one soft start board? Yes you can, there are even 3 sets of terminals for up to 3 transformers. If you have more transformers, you can put two primary wires in each terminal, so you can safely connect up to 6 mains transformers into one soft start module. Just as long as you remember the max. load is 2300 VA. 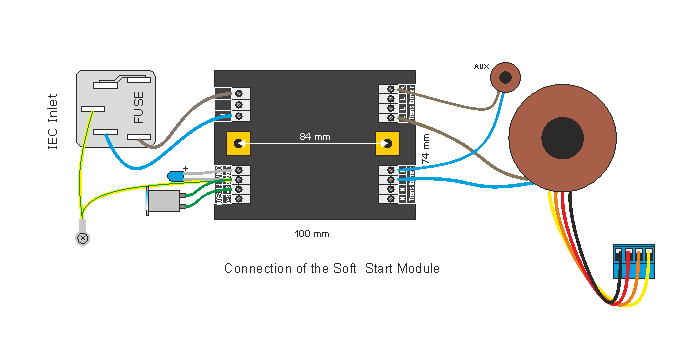 This module is a Safety Class 1 circuit with isolation voltage of 2kV and creepage distance of >3mm. This means you can only use it in an amplifier that is connected to safety earth in your mains outlet, for safety reasons. We will offer a safety class 2 version and a free upgrade from this version, by May 1st. 2018. Operation Voltage: 230 V AC. Maximum Total Continous Current: 10A. Maximum Total Power: 2300 Watts. Maximum DC blocking: +-1.2V DC. Caution! This is a safety Class 1 board, with isolation voltage of 2kV. This means you MUST connect your amplifier to safety earth when ever it is on. See the Safety Earthing Instruction. The connection is straightforward. Keep a distance from the edge of the PCB to the chassis, to allow for safe operation. CAUTION! This module has LIVE Mains Voltage on it, and you should NEVER touch it when it is connected to the mains! Also be CAREFUL that no metal objects come near the module when in operation! This module is specially adapted for use with NewClassD modules. It will work safely with transformers up to 2300VA. A special fused output for an AUX transformer is provided to allow connection of a Gate Drive transformer, in case a Gate Driver winding is not placed on the main transformer. It is essential that such a transformer has it's own fuse, since a 6.3 or 8 Amp main fuse will not blow in the event something is wrong with it. So therefore we have provided a separate fused output on the Soft Start module, to allow easy connection of such Gate Drive transformer. The use of a separate Gate Drive transformer is optional. The Soft Start Module offered is a Combo of Soft Start / DC Filter (Both functions are on the board, with offline push button switch function. Note the actual pushbutton itself is not included. We recommend RS Components part no: 690-3422 or similar (no drop resistor for the LED)). If mains power is removed, the module will remember if it was left ON or OFF last time the power was applied. This way if you switched it OFF it will stay OFF even in case of power brownout or similar. When we deliver the unit it is left in the ON position, so you can also use it without a pushbutton switch. In that case it will just swich on with soft start every time power is applied.